Do you have a great idea for a mobile app that would be beneficial to the Irish agriculture market? 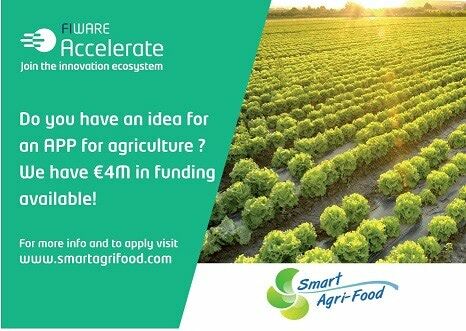 The SmartAgriFood accelerator has €100,000 available in funding for each SME who would like to develop a mobile app that will help farmers. Horticulture – flowers, fruits and vegetables production in greenhouses or, at a small scale, similar crops in the open air. In addition, orchards can be included. Livestock Farming – animal production in the open-air closed housing systems or a mix between these. The SmartAgriFood accelerator has a total of €4 million available, meaning 40 SMEs will get the benefit of the grant. Submissions must be made by 15 November 2014, so if you have a great idea for an agricultural app, Contact 2Cubed today to discuss how you can benefit from these fantastic grants.